When my five-year-old shows me her artwork (her latest masterpiece was a rainbow that is also a slide), here's what I say. But what I wonder is, "What's going on in that brain?" This video by Function, a production of Fractal Media, gives me some insight. 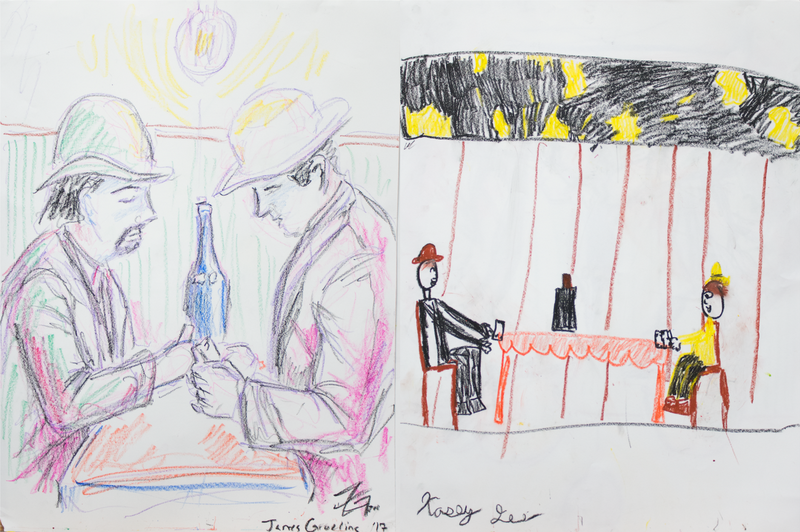 In a pilot study, researchers compared the way children and professional artists draw by using eye-tracking technology. 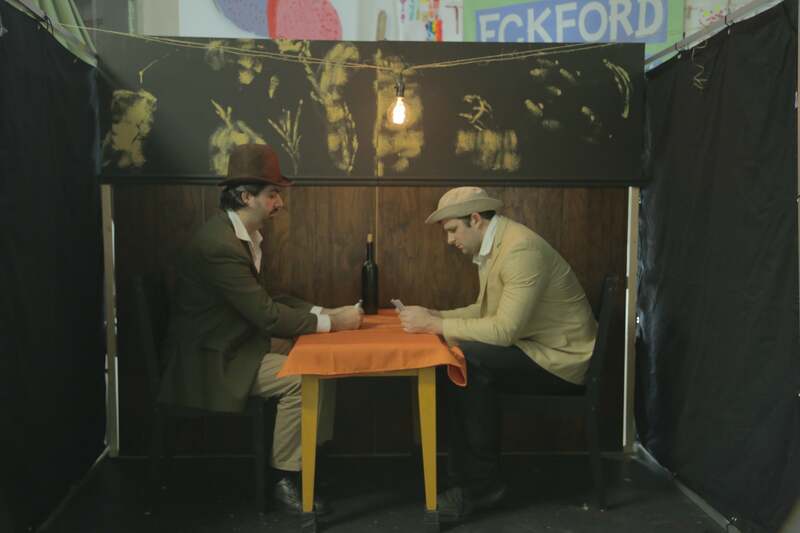 Wearing special glasses, the kids and the pros were asked to recreate the same scene, one based on Paul Cézanne's famous painting The Card Players. The researchers then looked at the data to see where the participants' eyes went throughout the process, which can help reveal how artistic skills develop. I found the results to be pretty fascinating, both as a parent and as a person who draws like a child. Time spent looking at the scene: While you might assume that the professional artists would look at the scene, take a mental photograph, and then create their drawing based on the picture in their head, the opposite was true. The pros spent twice as much time looking at the scene and analysing it as the children did. 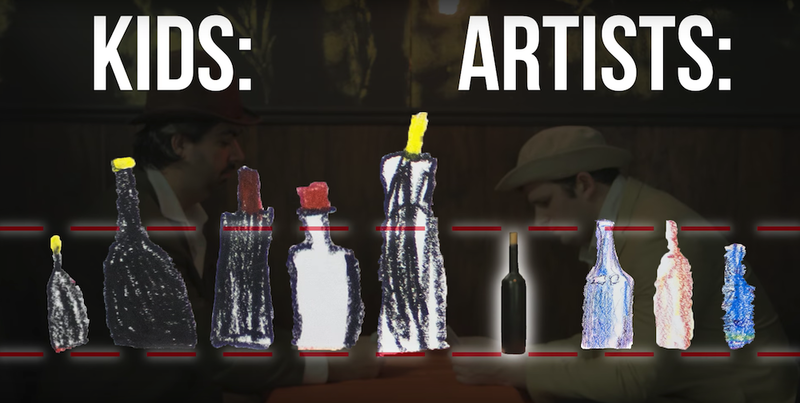 Proportions: The professional artists drew the height of the wine bottle accurately, while the kids made the bottle, on average, 49 per cent taller than it should have been. The eyes of the pros were constantly looking at the proportional relationships between the shapes and the objects. Priorities: Because the pros made outlines of the various elements of the scene before spending time on the details, their finished work was much more complete. Kids drew one element at a time - the person, the hat, the chair - before moving onto the next. The pros put more effort in drawing context than individual objects, while the kids focused a lot on the men's faces.